While in Mangalore, eat like a Mangalorean…but sometimes many of us take this a bit too far. While in any place outside Mangalore, we tend to eat nothing but Mangalorean food. Such are our patriotic taste buds (and such was my story) Sigh! However, after I moved to Mumbai & on my travel trips outside India my taste buds got accustomed to different kinds of cuisines and although I really didnt find any liking towards Middle Eastern/Mediterranean food initially, I grew to love it over a period of time. 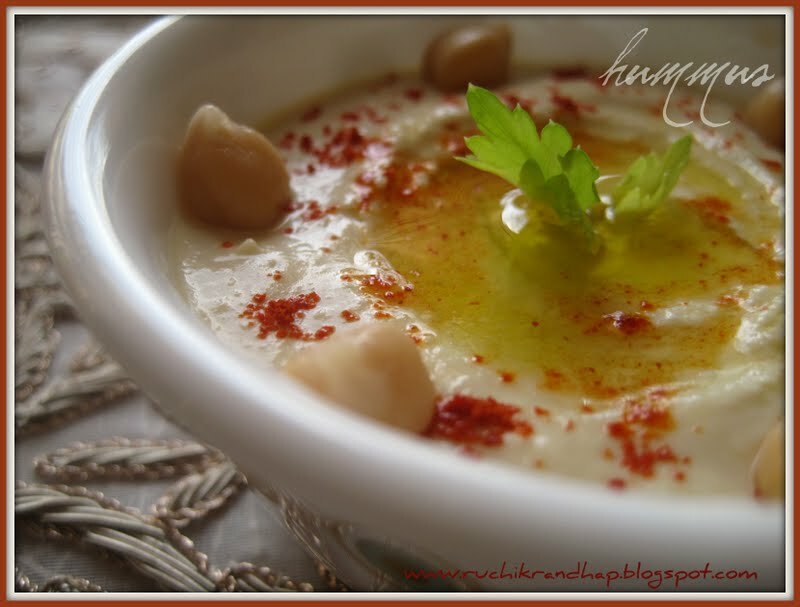 While the first time I tasted Hummus (pronounced as ‘Who-Moos’) was in Dubai.. I simply disliked it, maybe it was the wrong choice of restaurant, but when my dear friend Jenny (who is a terrific cook) made it at home, I LOVED it & hogged endlessly. This is her recipe that I tried this time – it was the first time that I made it at home (cuz I’ve vowed to include non-Mangalorean recipes in my blog in 2011) and it came out purrfect! 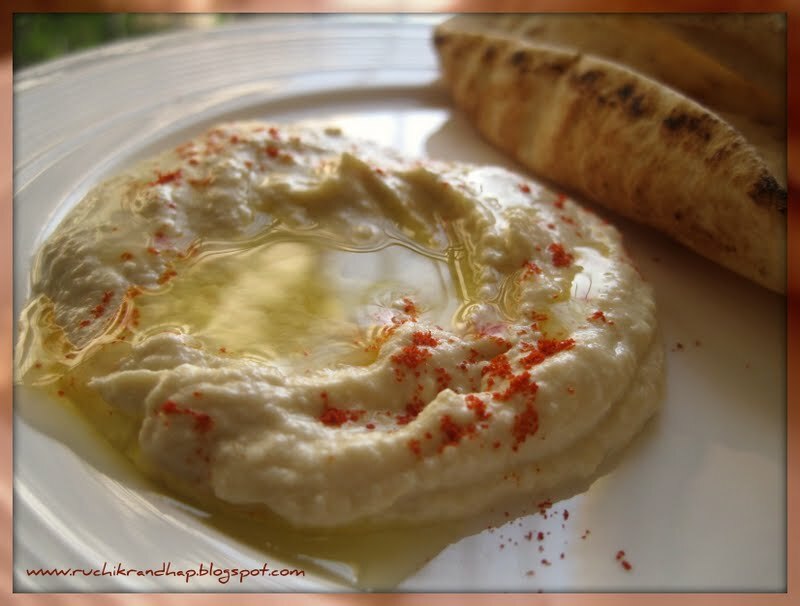 Hummus is considered very healthy (unless you empty the entire bottle of olive oil to eat it with) and I am sure you’ll love this version if you haven’t liked it before. 2. 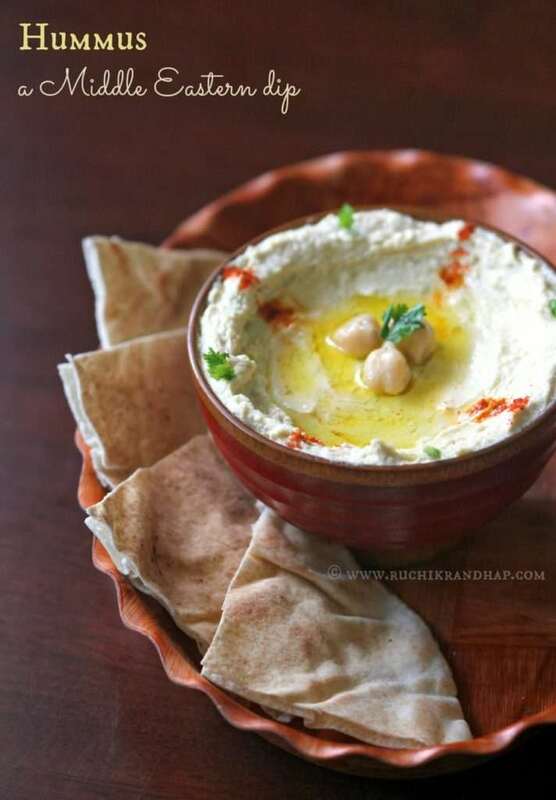 Reserve about 10-15 chickpeas for decorating and grind the rest along with the lime juice, green chilli, sugar, tahini and salt to taste to a fine paste. Unless you intend to finish the Hummus the same day, do not add all the olive oil while grinding, just a little to get the grinding done. Do a taste check – add salt or lime juice if desired. 4. 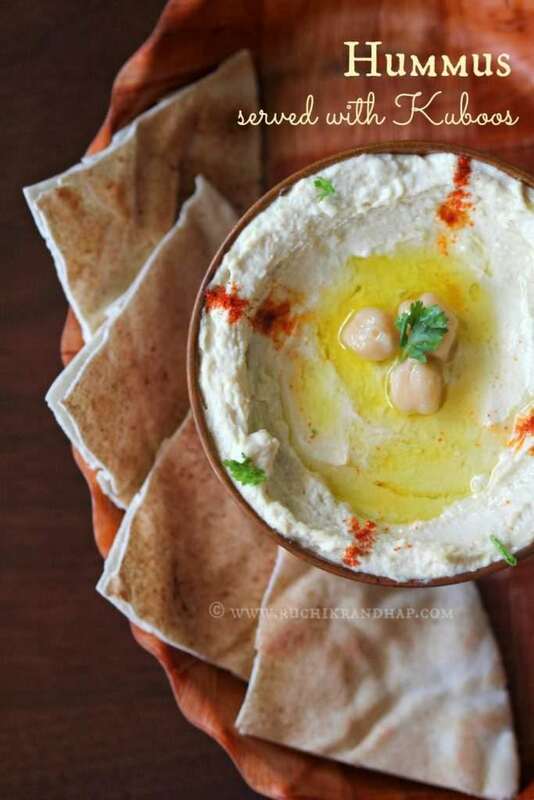 Serve with warm arabic bread or pita bread (if neither is available, you can even eat it with thin pizza bases available in the supermarkets – just heat them up lightly on a tawa before serving) Enjoy! 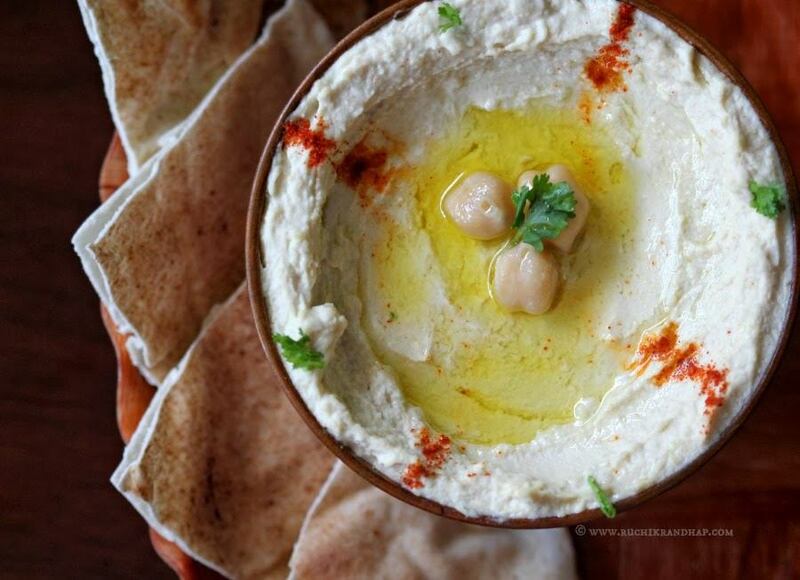 Chickpeas should ideally be soaked overnight or at least for 10-12 hours – this helps to cook faster. The number of whistles during pressure cooking will depend on how long the soaking was done. 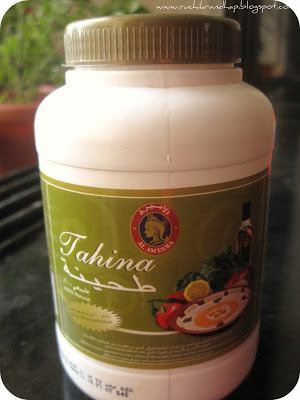 What can be used as replacement for Tahini?